One of the best things about pattern testing really is the process. 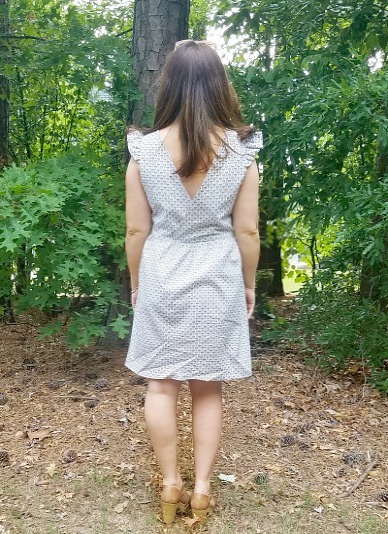 When I made my first muslin of the Ayda Dress, I was afraid that the silhouette just wasn’t going to fit me, as the pattern stood initially. Without a zipper or some sort of other closure and several bodice modifications, I wasn’t sure I’d get a good fit. But as all the testers worked through the process, everyone added their input and suggestions, and then with Caroline’s genius adjustments, the pattern ended up fitting beautifully!! 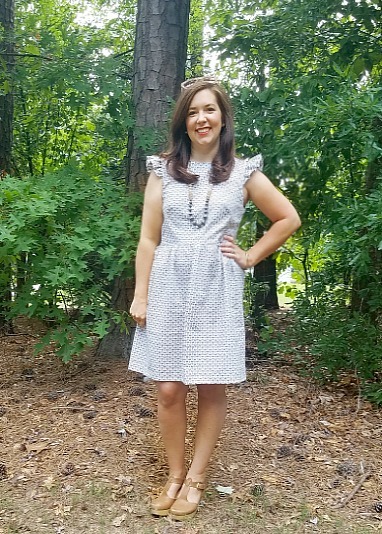 The dress is SO CUTE, and I think it turned out very flattering! There are three different sleeve options, and either a gathered skirt or circle skirt, in a top or dress length. 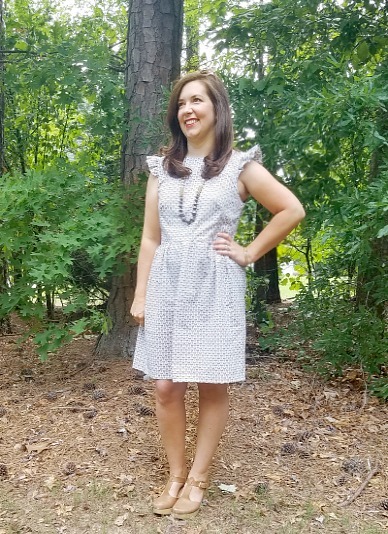 My first version was the dress length with a gathered skirt and flutter sleeves, and I can’t wait to make a few other versions. There is also a girls version, so I can make Brantley and Grayson matching Aydas! My second Ayda was sleeveless, in the top length, with a circle skirt. 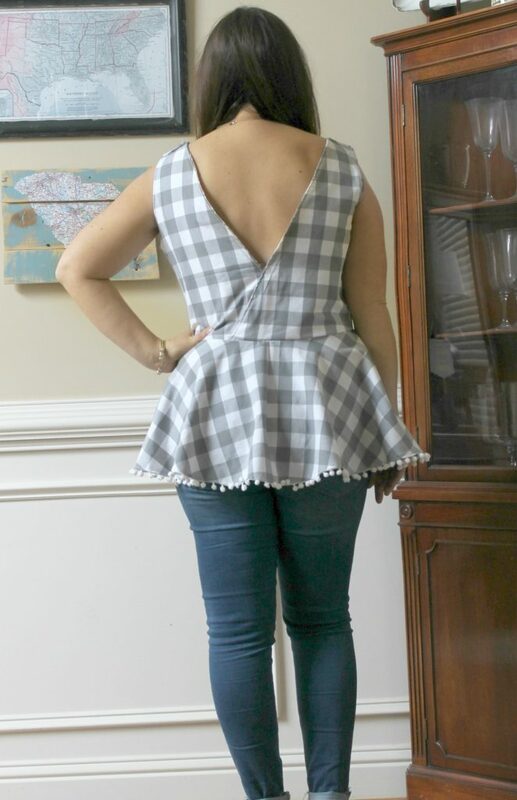 It is the perfect peplum length, and I LOVE it. And can we just talk about how cute the V in the back is?! I ended up loving both versions of the Ayda that I made. Next up will be cap-sleeved dress length Ayda with a circle skirt, and two for the girls! I love that the Sew Caroline and Simple Life Pattern Collection includes womens AND girls patterns for Mommy & Me looks. Y’all know I love matching outfits for the girls, and if I can match too??! 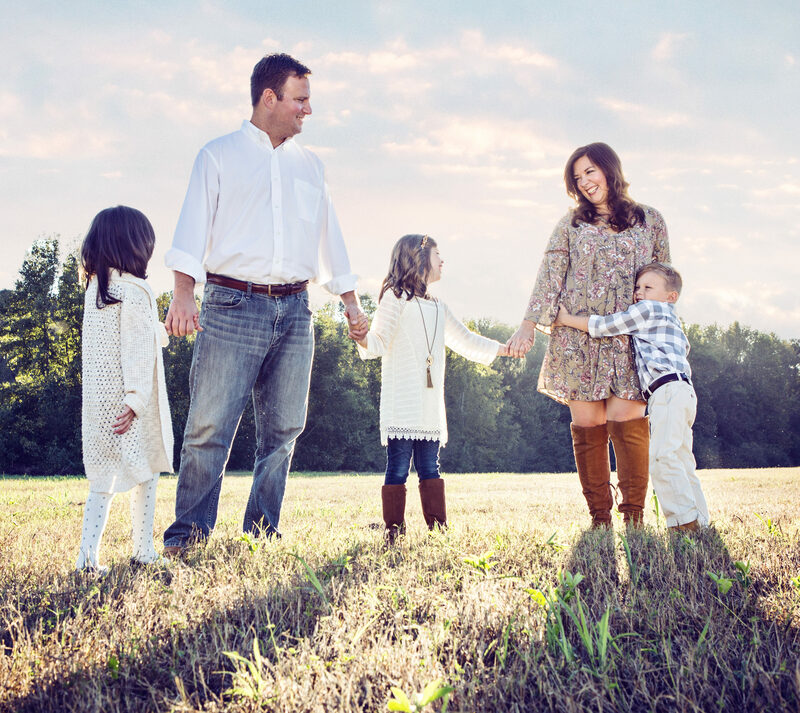 A Southern mama’s dream come true! Check out the collection here. 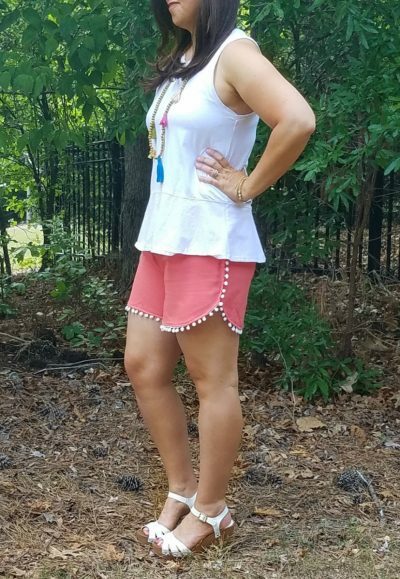 The other pattern I tested was Tammy’s Tulip Skirt pattern, which I am OBSESSED with. If you know me, you know that I am NOT a big fan of shorts. 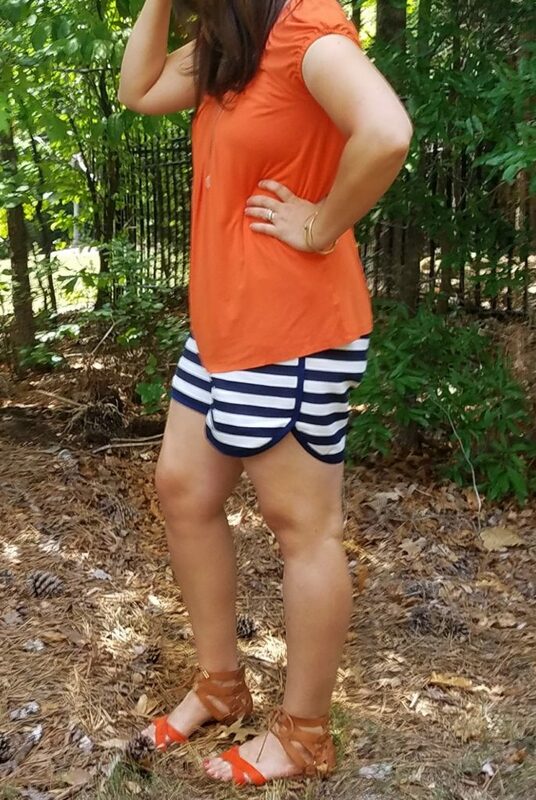 But this pattern has a high rise and a generous fit in the leg, so even when you’re bending down tying shoelaces your thighs aren’t busting out of your shorts for the whole world to see (I’ve heard this happens…not that I know from personal experience or anything…:)). 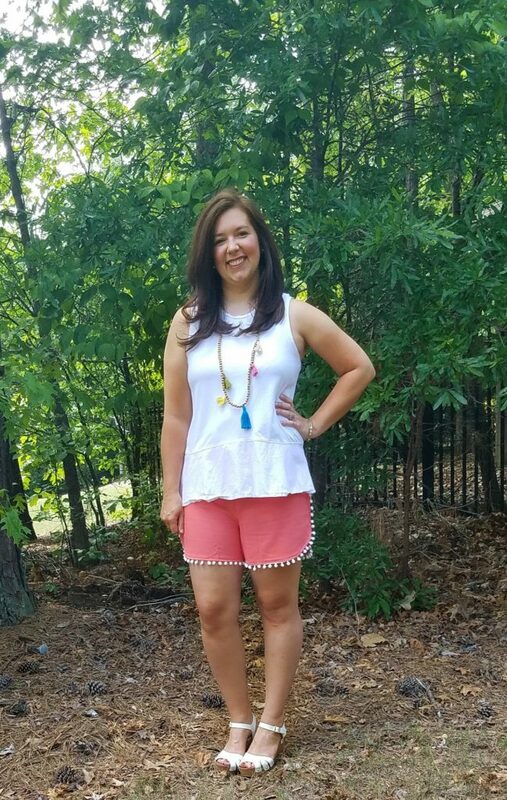 The pattern is a quick and easy sew, and leaves so much room for creativity in pattern and trim selection. 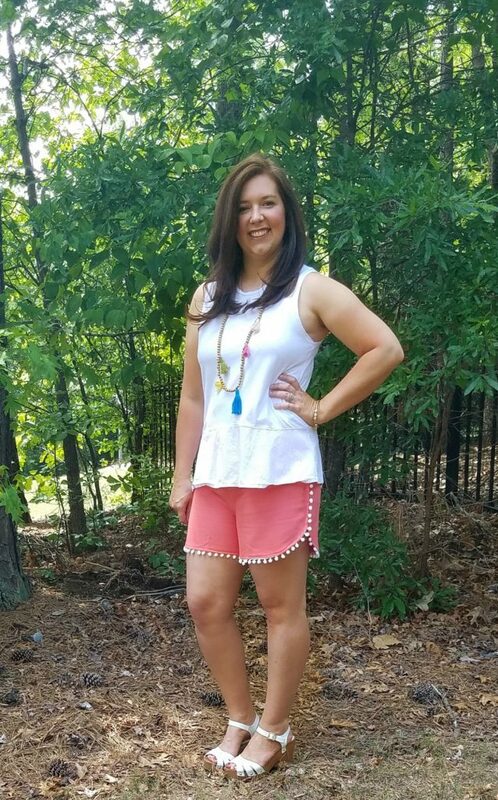 You can add a simple bias trim like I did in the striped pair I made (which I got several compliments on the day I wore them out- these are the ones I posted last week in WIW), or a cute pom pom or lace trim like the ones below! You can use a knit OR woven fabric, which makes the pattern that much more versatile. You can just as easily make a pair of knit athletic shorts for working out as you can a pair of navy or black twill shorts for GOING out! I love the opportunity to mix and match the fabric and trim options, and I already have four more pairs planned out (chambray, black twill, navy twill, and seersucker!). Overall, the patterns are fantastic, and testing for Caroline was such a fun experience. There are FOUR other patterns in addition to Tammy’s Tulip Shorts and the Ayda Top and Dress for both girls and women in the collection- the Sugar Pop Top, the Molly Dress and Top, the Magnolia Shorts, and the Waterfall Tank. 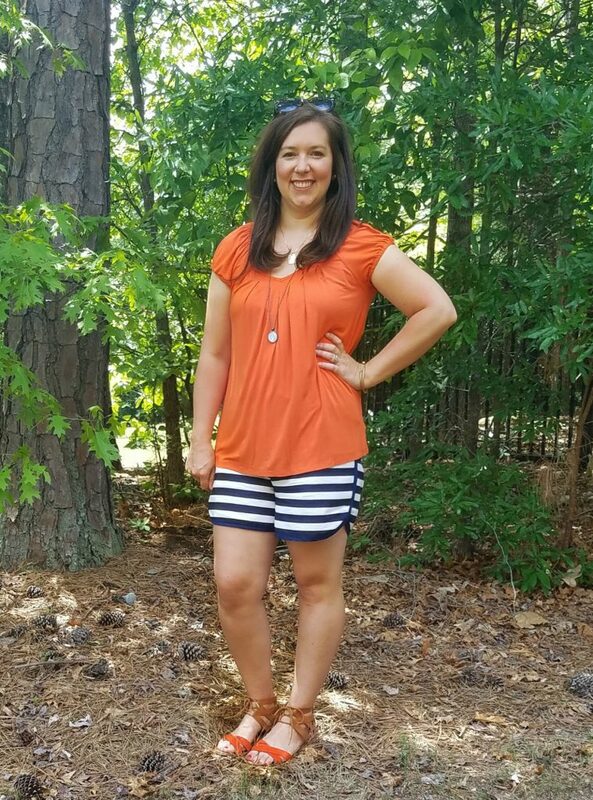 I’d say the patterns range from beginner to advanced beginner/intermediate, and you could make one killer summer capsule wardrobe with just those six patterns! 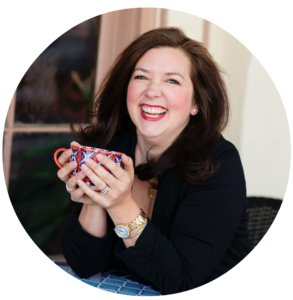 Hop over to Caroline’s website and check them out! I hope you have a wonderful day, and awesome weekend (we have the last bits of baseball and soccer to wrap up! ), and a lovely Mother’s Day on Sunday! I think the kids are even more excited about Mother’s Day than I am (which is saying a lot! ), so there’s no doubt that it will be a special day. I wish you the very best and cheers until next week!